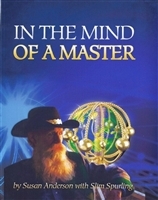 "In the Mind of a Master" captures the profound impact of Slim Spurling, whose cutting edge Light-Life� Technology makes it possible for individuals to drastically improve their health as well as the health of the environment. In the newly-named bestseller, "In the Mind of a Master", author Susan Anderson and Slim Spurling discuss his extraordinary life story which ultimately led him to invent the Light-Life� Tools. This comprehensive book also includes never-before-published research reports and testimonials.